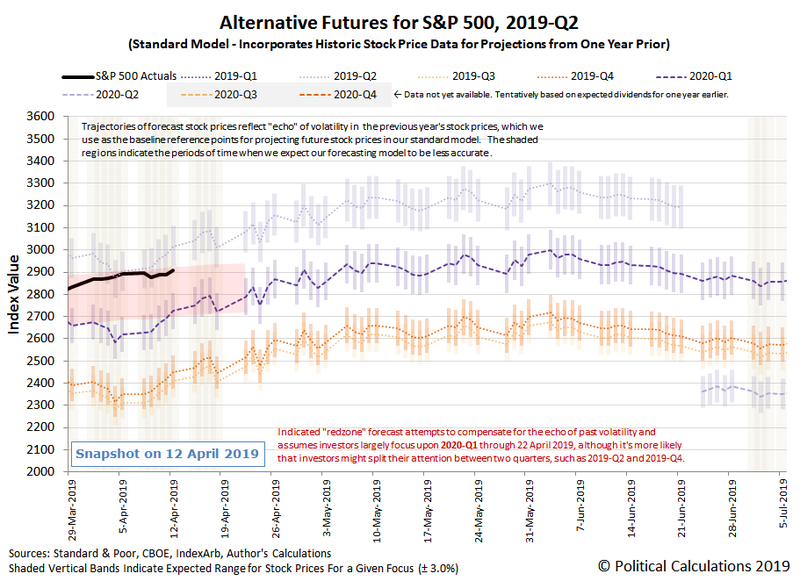 The S&P 500 continued its upward trajectory in the second week of April 2019. It is now within 24 points, or 0.1%, of its previous peak of 2,930.75 set back on September 20, 2019. The thing that boosted the market the most during the week was the news on Friday, April 12, 2019, that China's exports to global markets has rebounded to a five-month high. 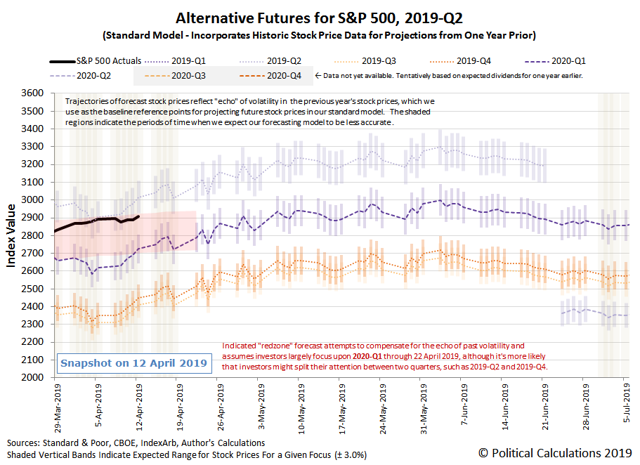 The S&P 500 (Index: SPX) continued its upward trajectory in the second week of April 2019, where it is now within 24 points, or 0.1%, of its previous peak of 2,930.75 set back on September 20, 2019. The thing that boosted the market the most during the week was the news on Friday, April 12, 2019, that China's exports to global markets has rebounded to a five-month high, suggesting relative improvements in the economic health of importing countries. The same news story revealed that China's own imports have continued to decline, however, indicating that the nation's economy is still slowing. For stock markets, that bad news was offset in part by the ongoing expansion of the Chinese government's efforts to stimulate its economy, where there are indications they are gaining some traction.